The other day I was leaving my grocery store. As I’ve written before, there’s a bank just inside the door, and they have a whiteboard out front that often has some mention of their latest loan rate or some special promotion. Or a list of things to do before you die on Christmas. The sign above was sitting out front a few weeks ago, and the sheer inanity of it made me want to capture the sentiment. 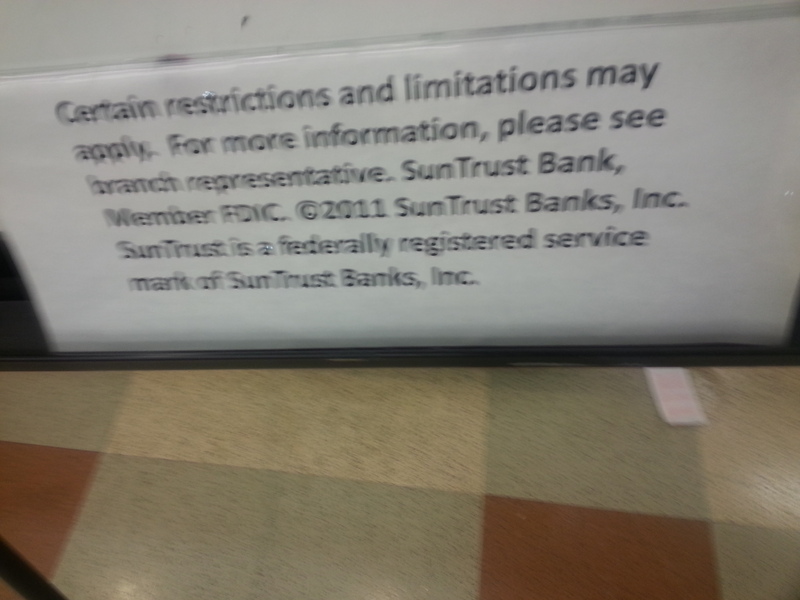 At first, I just figured it was a dumb play on words: SUNtrust… SHINE… get it??? Very clever. But wait! What’s THIS! * A disclaimer? !